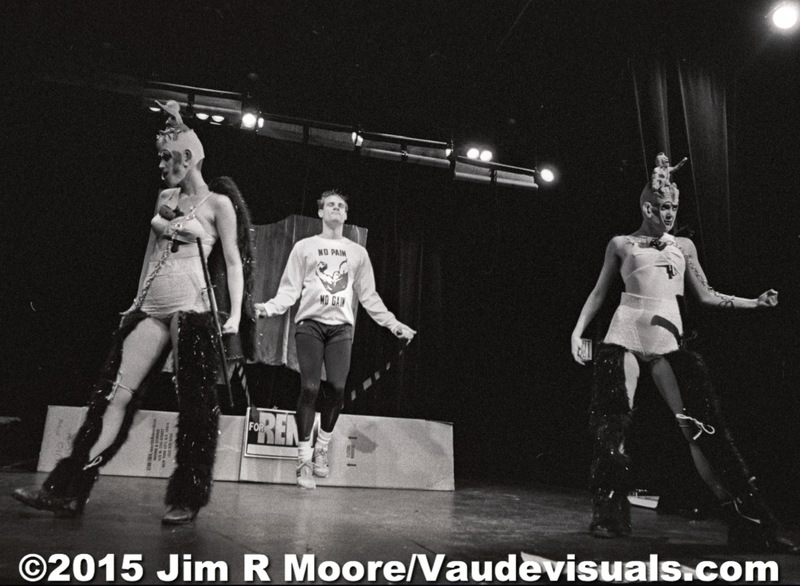 DANCENOISE performing at La Mama in the The ALIEN COMIC’S FULL MOON show Oct 1989. DANCENOISE makes havoc at the FULL MOON show at LaMama in 1989. 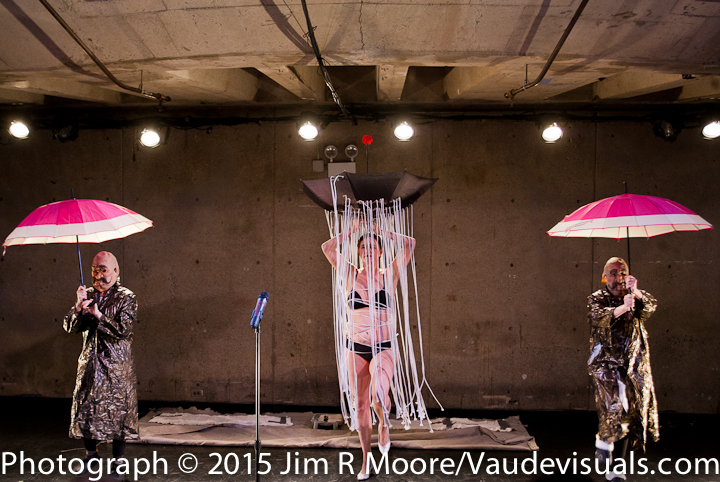 DANCENOISE performing at Abrons Arts Center Jan. 2014 One of the Opening Scenes from the show. Lucy Sexton takes a knife to her large turkey. 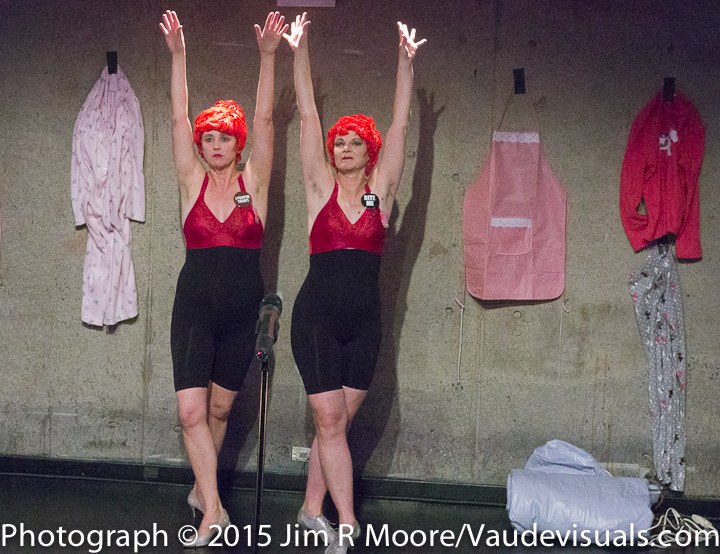 Lucy and Anne in a synchronous moment against the clothes wall at Abrons Arts Center. Anne and Lucy covered in blood finish off their duet song ‘Happy Together’ at Abrons Arts Center. 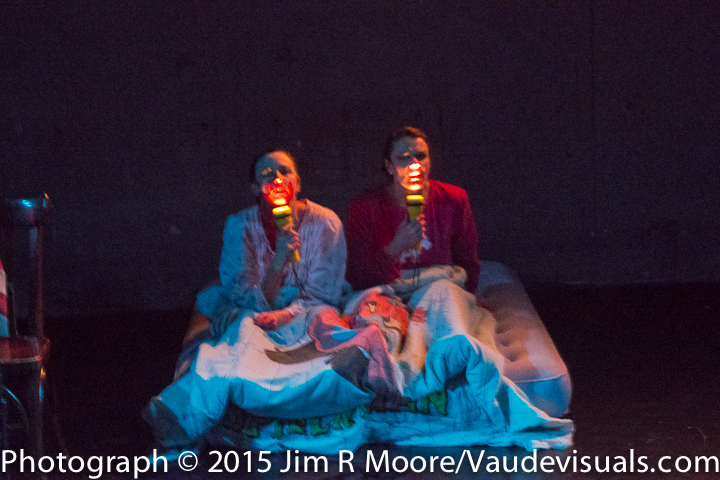 Lucy and Anne finish off the show under the covers with flashlight illumination only! DANCENOISE performed a show at Abrons Arts Center on Jan 18th, 2014. I was there to photograph and here is a video excerpt from the show. They currently are preparing a NEW show for The Whitney Museum of American Art to accompany an exhibit of photographs documenting their work in downtown NYC in the 1980's. DANCENOISE: DON'T LOOK BACK is being shown from July 22nd thru 26th.